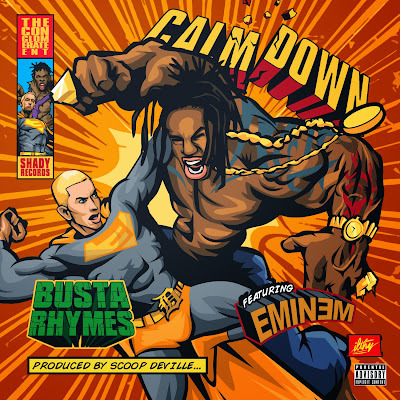 Busta and Eminem join forces once again on "Calm Down" produced Scoop Deville. Feels like old school Bus and Em on this track and it fits right with the beat Scoop sampled. Check it.